A “complete lack of medical leadership”, low consultant staffing levels, “inadequate clinical governance” and poor culture are among key findings in a damning peer review into a south London intensive care unit. The report, shared with HSJ, found the unit at Queen Elizabeth Hospital, run by Lewisham and Greenwich Trust, had several problems causing “significant concerns” for reviewers from the South London Critical Care Network. In their report, they raised fears that care for patients across the trust could be affected because of issues with the critical care service. 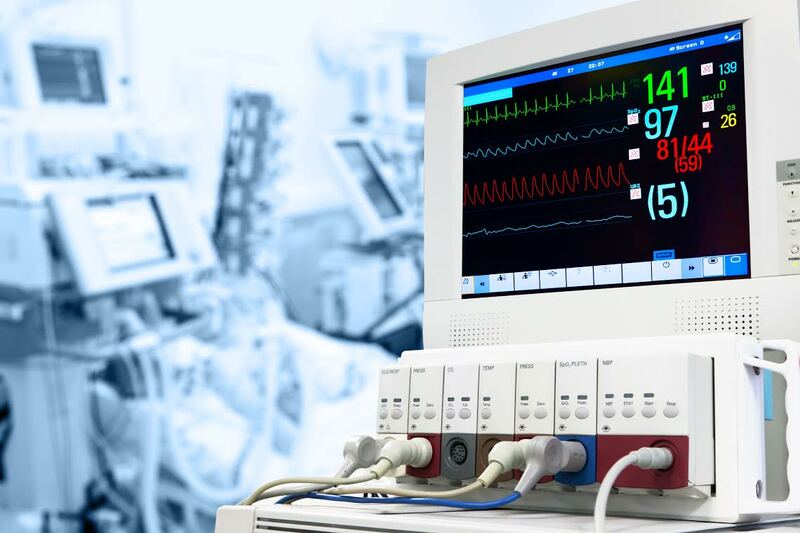 This included claims that “younger fitter patients with single organ failure” would not be admitted to intensive care until they developed multiorgan failure because of pressures on bed availability. They also highlighted an increase in non-clinical transfers of patients – with 16 in one month due to a lack of bed capacity, with no clear plans for this to be addressed. A trust spokesman said since the report was given to it in February, it had acted to ensure patients are safe and improve leadership and staffing numbers. Staffing levels – there were 19 patients to just one consultant, which exceeded the recommended ratio of between 1:8 and 1:15. The report said: “It was apparent that this is a consistent issue with no clear recognition of the need for extra consultant input, nor any plans to address this.” Only 3.5 full time equivalent consultants were in post with staff working locum shifts to fill gaps. Leadership – there was a “complete lack of medical leadership… There are no regular meetings where all the consultants discuss the care of patients, development of the unit or future strategy regarding bed base, patient case load, recruitment, standards or guidelines.” There was “inadequate clinical governance” and “it was unclear that any actions created by any of the governance meetings were completed or fed back or resulted in any change to practice”. Escalation of deteriorating patients was described as “ineffective” with a high number of peri arrests (where the heart has unusual rhythms that could signal a cardiac arrest) in the hospital with 60-80 a month. The reviewers suggested deteriorating patients were not being identified. “There was no ownership of the care of deteriorating patients in the wider hospital,” they said. Handover between consultants after a three or four days on call did not happen except on an “ad hoc basis”. Only two out of 12 critical care outreach nurses had critical care training. There was no consultant input to the team and it was not part of the critical care directorate. Handover between consultants after a three or four days on call did not happen except on an “ad hoc basis”. Ear nose and throat surgeons, based in Lewisham, “refuse to attend” Woolwich hospital meaning patients who need surgical tracheostomy have to be transferred to Lewisham for their operation. Poor incident reporting culture – two members of staff were approached by their managers after reporting incidents with one being told “she had created a lot of work” while another was told she should have said something verbally rather than submitting a formal incident form. The ICU is at the centre of Dr Chris Day’s whistleblowing employment tribunal to be heard next year. The review team praised nurses saying there was clear evidence of teamwork, communication and strong leadership in the critical care nursing team. Lewisham and Greenwich Trust was formed out of a controversial merger in 2013 after South London Healthcare Trust was put in special measure for financial problems. A trust spokesman said following the peer review it agreed to work with local clinical commissioning groups to address “all the issues raised in the peer review and we have been liaising closely with the critical care network on progress against the action plan”. He added: “Since February, we have generally not had more than 15 patients on the ICU requiring intensive care. When we have had higher numbers of patients on the ICU requiring intensive care, we have carried out clinical risk assessments of every patient so appropriate arrangements can be made, including providing additional consultant cover from the ICU at Lewisham. We are also in the process of recruiting an additional four consultants who will start in August to meet the national guidance around consultant to patient ratios. improving responses to early warning scores for deteriorating patients. This piece documents an important peer review of intensive care services at Woolwich. And here is some important context. The context for this report of lack of clinical leadership and understaffing is the cumulative impact of successive governments' hostile policy towards the NHS as a publicly funded and provided health service - from PFI funding of new hospital builds, to deliberate defunding of health services and the opening up of clinical services to enforced competitive tendering. Up to September 2013, South London Healthcare Trust (SLHT) ran three hospitals, two of them were in a group of the 8 worst-negotiated PFI hospital contracts in the country - Princess Royal University Hospital Farnborough (PRUH) and Queen Elizabeth Hospital Woolwich (QEH). The DoH and Treasury agreed in 2012 that these 8 hospitals (in 7 trusts) had to be subsidised from 2013/14 because the contracts were so damaging, even on DoH terms. However, in July 2012 SLHT was declared bankrupt by the DoH and NHS England. A bankruptcy regime - the 'Trust Special Administrator - was imposed from that date. SLH NHS Trust was allegedly overspending £1m per week. Please note that the combined PFI payments for their two PFI hospitals meant that from day 1 of the financial year the trust owed close to £60m, the annual PFI payment due to the private companies with the PFI contracts! The annual payments, 10-11 years into the 30 year contracts, were inexorably increasing year on year. The clinical services - until managerial paralysis, staffing cuts and clinical demoralisation wrought havoc - were delivering an acceptable standard of care. But the enforced closure of Queen Mary's Hospital Sidcup 2010/11 had transformed QEH into a hospital permanently on an emergency crisis footing, with incredible acute pathway stresses, bed occupancy 12 months a year on a par with winter, and ambulance queues outside A&E a regular sight. The lack of capacity was blatant for all to see. This is a tale of political destruction. The Trust was wound up by our 'friend' Jeremy Hunt, from October 2013 - although the main recommendation he had made had been to close Lewisham Hospital, the highly successful acute hospital run by a totally different trust, Lewisham NHS Trust but in the adjacent part of SE London. And this was famously defeated by the famous community campaign and the accompanying judicial review jointly mounted by the Save Lewisham Hospital Campaign and Lewisham Council. Despite the permanent state of crisis at QEH, due mainly to lack of clinical capacity, Hunt was recommending the closure of the adjacent A&E at Lewisham and all acute adult medical & surgical, paediatric and maternity beds – what would have been a loss of another 400 beds. McKinsey ran the finances of SLHT during the critical period from July 2012 to September 2013 and imposed on the trust financial restraint. (McKinsey was also running the TSA regime and attempting to reconfigure the whole of SE London in 3 months, centred around the proposed closure of Lewisham. It made literally millions during this period.) In this role, for example, they put down as 'cost savings' two consultant paediatric consultant posts that were sorely needed. And in taking over the running of QEH, Lewisham NHS Trust had to accept the hand it had been dealt and struggle to make ends meet. As a result of this mess of government policy visited with extraordinary viciousness and irresponsibility on a SE London trust - coupled with management errors - staff demoralisation was endemic in that trust and there was a shedding of NHS staff from SLHT during that period, the combined impact of McKinsey designated ‘cost savings’ and staff voting with their feet to go to safer pastures. What we have is a scenario played out of underfunding, understaffing, financial priorities over clinical and low morale. None of us would welcome ourselves or friends or relatives working in that environment. Chris Day was working in the ITU in one of the affected hospital in 2014. He raised an important clinical issue affecting one acute and high risk department within one hospital, which was part of one trust in one area of England in 2014. It could have happened anywhere in England over the last 5 years. We should welcome this peer review and understand the political reasons behind the reality it explores, as well as acknowledging any local issues. We must join the calls to reinstate Chris Day fully. But we must also support his call for safe and appropriate staffing levels. And behind all this, we must fight for a complete change of political approach to the NHS – such a precious public service, serving the general public in our time of need. Chris Day's own campaign: https://www.crowdjustice.com/case/junior-doctors-round-3/ as he goes back to the world of employment tribunals to try to win back his individual right to work as a junior doctor trainee and to set a precedent that prevents Health Education England and other bodies from reneging on their duty of care including whistleblowing protection, for trainees whose programmes they are responsible for.